You are at: Home / Agora / Samaras shoots, Samaras scores! Not since Greece created the biggest upset in world football by winning the European Championships in 2004, have Greeks poured onto the streets of central Athens to celebrate. There used to be a time when political leaders could generate large crowds of flag wavers but they could only dream of party rallies generating the same kind of enthusiasm as Greece’s 2-1 win over Ivory Coast. However, nobody is under the illusion that in a country still struggling to overcome its biggest economic crisis since the Second World War a significant sporting achievement can provide anything more than a temporary release. Qualifying from the group stages of the World Cup does not mean leaving behind the deep problems afflicting Greece’s society and economy. Samaras (the striker) acknowledged as much in his post-game comments. “I hope we provided our compatriots with joy, even if it’s a little joy, with this win,” he said. There is often a belief that victory on the field has the power to transform people’s lives and a nation’s course. Sport could certainly be seen as society’s engine room but it does not have the ability to steer the vessel. For instance, France’s victory on home soil in the 1998 World Cup was meant to foster racial unity but more than a decade later the rise of the racist Front National threatens the legacy of the “Black, Blanc, Beur” team that lifted the trophy. Greece knows very well that football victories promise better days but don’t necessarily deliver them. The astonishing feat of 2004 was the book end for an era of promise rather than the herald of greater things to come. Much like the mountain climber who becomes giddy through excitement and lack of oxygen when he reaches the peak, Greece (and its leaders) became oblivious to the dangers posed by the descent. "Some of my players did not seem to realize where we are and what we have to do," said Greece coach Fernando Santos after his team's 3-0 defeat to Colombia in its first game at this World Cup, perhaps fearful that they would rest on their laurels after exceeding expectations by making it to Brazil. 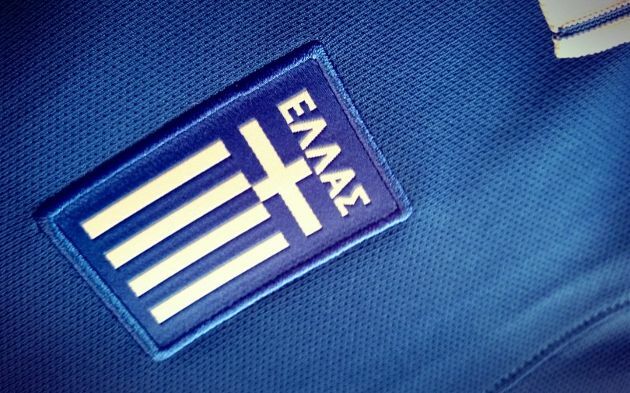 Nevertheless, as was the case in 2004, so it is in 2014 that there are conclusions to draw about Greece’s football accomplishment whose significance stretch beyond the pitch’s four lines. The first is that the primary building block for any success is teamwork. It is a cliché but in a society like Greece’s, which is mostly a collection of extended families rather than communities, covering for each other does not necessarily come naturally. The German coach Otto Rehhagel, who guided Greece to the Euro2004 miracle, built his success on the principle of self-sacrifice and the current manager, Portugal’s Santos, has stuck to the theory that the sum can be greater than the parts. For Greece, which has one of the poorest and most corrupt domestic football leagues in Europe, the idea that its most talented players can climb out of the mire is also a powerful one. In a country of oligarchs, vested interests and slow change those who buck the trend, whether they be young footballers or a disruptive start-up, are vital to the process of renewal. Greece’s squad has not been free of the division that riddles the domestic game, with one player even being poised to quit the team. But a battling performance against Japan in their second game, when they played with 10 men for almost an hour, awakened an inspiring spirit of togetherness that also saw them through the game with Ivory Coast. At a time when Greek society is so deeply divided - pro-memorandum vs anti-memorandum, New Democracy vs SYRIZA, far-right vs anyone else – the unity displayed on the pitches of Brazil is poignant. Finally, there is much to be said for the fact that on limited resources and with one of the lesser paid coaches at the World Cup, Greece has managed to get further than more illustrious and wealthier rivals, such as Italy and England and their entourage of nutritionists, psychologists and turf specialists. Having spent the last few years being criticised for its profligacy and being told to get by on less, Greeks should be excused for feeling a sense of schadenfreude about their football team’s achievement. More importantly, Greece’s qualification indicates that there can be life after the crisis, that even with less at their disposal Greeks can progress. It is the type of feeling that political parties pay advertising agencies millions to concoct. Perhaps the one thing that we can take away from the match in Fortaleza is that a group of football players with limited talent but plenty of heart was able to generate more (albeit fleeting) hope than the stream of promises and proclamations uttered by Greek politicians of all colours during the last few years. In today’s politically fragmented, economically weak and socially divided Greece, breeding enthusiasm and belief is no mean feat but the national team found a way to do it. The challenge for the country’s decision makers is to discover how to inspire Greeks and lay the foundations for the kind of progress that will really change people’s lives.